Mulder portrait. . Wallpaper and background images in the The X-Files club tagged: x-files fox mulder david duchovny portrait. 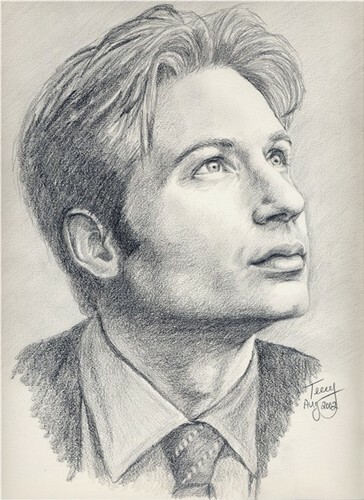 This The X-Files fan art might contain pak, portret, headshot, and close-up.